After buying that new PC, make the recovery discs! And why is SATA AHCI such a bear? So you bought a new PC and it didn’t come with any media to re-install the operating system in case of a crash, or if you want to install a bigger disk or switch the disk to a new Solid State one. I doubt the manufacturers save any significant money by not putting an OS install disk in the box. Maybe they just don’t want to make it too easy for people to put unlicensed software on too many machines. Whatever the reason, the new PC will have some reminders in software and in the quick start guides to make a recovery disc or recovery disc set. You should do it. 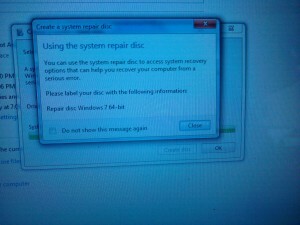 Sure, the manufacturer added a recovery partition, and a boot option to boot into recovery mode. That won’t do you any good if you can’t access it. 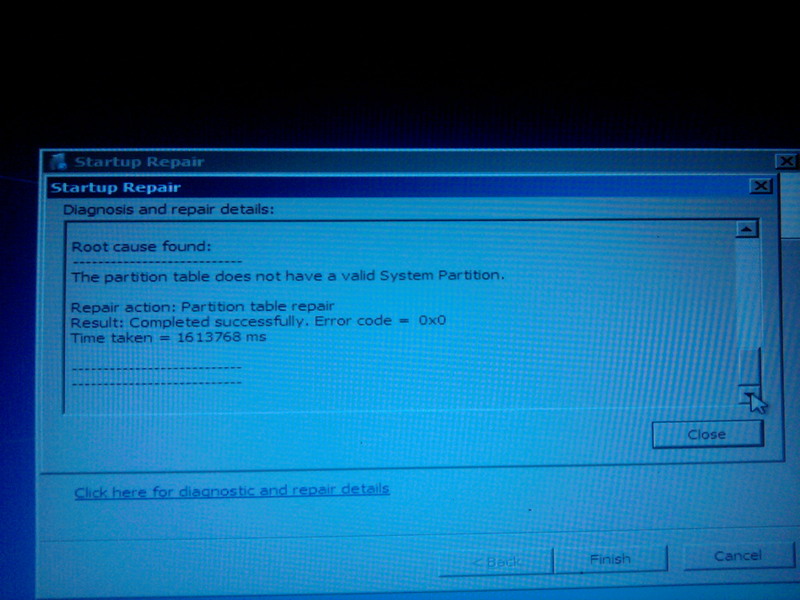 I looked at a PC that wouldn’t boot due to a bad or missing partition table. The PC would just keep cycling back to the splash screen on power up. From the splash screen, you could get to the BIOS settings, or get to a boot options screen. Somewhere there was an option to boot in recovery mode, but that would just end up with a blank screen. I tried a UBCD (Ultimate Boot CD), forgetting that this PC is Win7 and UBCD was made for WinXP. The UBCD gave me a BSOD (Blue Screen Of Death) with Stop: 0x0000007B. This led me to suspect the disk controller or the disk drive. But, a Knoppix Live Linux CD was able to boot, run, and it allowed me to “explore” the contents of the disk, which it mounted. So, the controller and disk were somewhat OK. I ended up downloading a Windows 7 install image (3.2 GB, and it took 8 hours to download on a 1 mbps connection). 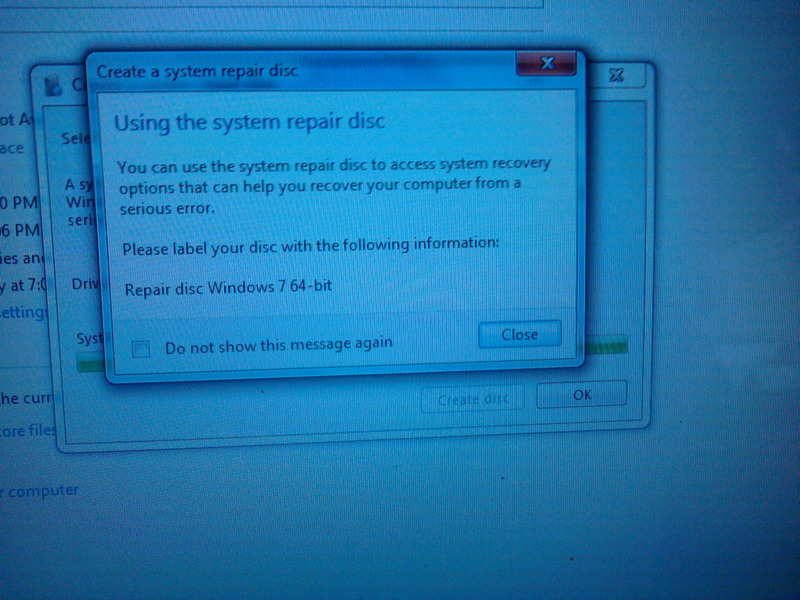 Burned a DVD, and tried to boot it into “repair” mode. It ended up telling me that it couldn’t read the existing Win7 disk drive. OK, maybe I’ll pop in this spare 320 GB drive and just install new on that. Windows installer wouldn’t work with this one either, but it indicated it might, if I had the right driver on a CD or flash drive. And I didn’t have that and couldn’t find it on the net. I went into the BIOS, and found that the SATA disk controller was set to AHCI, and that is the default setting. But, somewhere ( maybe at http://nvidia.custhelp.com/app/answers/detail/a_id/2435/~/what-is-ahci-and-how-does-it-differ-from-sata-ide-compatibility-mode%3F ) I found that the windows install disc doesn’t include AHCI drivers. So, I changed the BIOS setting to SATA “Compatibility” mode. Now, the install disc seemed happy to go ahead and install Windows on my spare disk. But, I thought maybe Windows would now read the original disk, with the BIOS set to Compatibility. And it did. 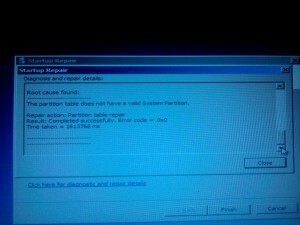 Root Cause – No valid partition table. And after a few hours diagnostics and reboots, it found a bad or missing partition table, and repaired or restored it, and the PC came up with all files intact. And it ran like crap… very, very slow. So, I went back into BIOS and set the SATA controller back to AHCI and now everything’s happy and reasonably fast. This would have been a lot easier if the recovery disc was available. It probably would have included the AHCI drivers. It still would have taken time for it to diagnose the partition table, but would have saved the time researching AHCI vs Compatibility modes. So, make that recovery media! Better yet, just wipe the disk and put Linux on that new machine! I’m with the same problem right now (came here using glooge, when trying to find a solution).When using Windows 7, the AHCI was not a problem, everything worked fine, but with XP it’s a no go.The main problem is that if I set it to SATA in the BIOS, Windows XP works, but the sata ports 4 and 5 get disabled, because they only work in RAID or AHCI modes.Since I need those ports, the search to solve this continues. Good luck Loly. And thanks for reading and commenting.